Last week I popped on my favourite little white dress and headed out for an exciting day at Wimbledon. With VIP suite and centre court tickets at hand, it was slightly easier to overlook the blistering heat that the day brought with it (it was even too much for a sun worship-er like myself). With Pimms and strawberries on tap we made our way to centre court to watch some of the best tennis players on the planet (a real treat anyway, but especially exciting for me as a newcomer to Wimbledon), before retreating to the shade of the terrace. We later got hungry and made our way to Franco Manca for some seriously great Pizza (more about that here). I then made my way back to the (very welcome) breeze of the seaside with a full tummy and a serious strawberry addiction. I honestly couldn’t think of a better way to spend the hottest day of the year. A note on being Bossy. Next Post Get Set. Go. You look gorgeous! The red bag with the white dress is stunning! You look beautiful, I really love your dress! Pims and strawberries sounds perfect! Stunning dress and wow Wimbledon! What a fantastic opportunity! 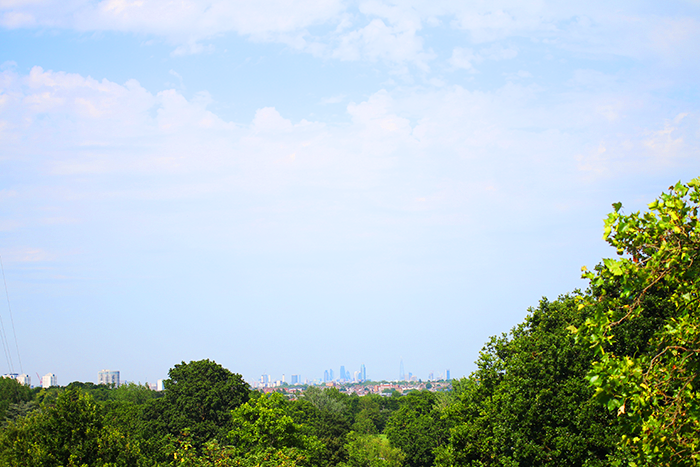 I'm getting quite in to Wimbledon this year, I'd love to go see it – hopefully next year. I love your summery, on point dress too! What a beautiful outfit, I love the bag! Lovely dress, and I love the lipstick you're wearing! That bag is beautiful, such a gorgeous colour! I love how you've co-ordinated a red lip, nails and bag! Really adds a pop to the white dress, you look stunning! Love the statement red pieces, such a classic summer and wimbledon inspired look! The pop of red with the white dress is so, so stunning! You look beautiful, love the outfit! Oh so jealous! I would love to go to Wimbldeon! Love the outfit ! You look beautiful and this lipstick is just stunning! As usual you look lovely. This is a stunning dress, and the perfect location as well. So picturesque! You look stunning as always! 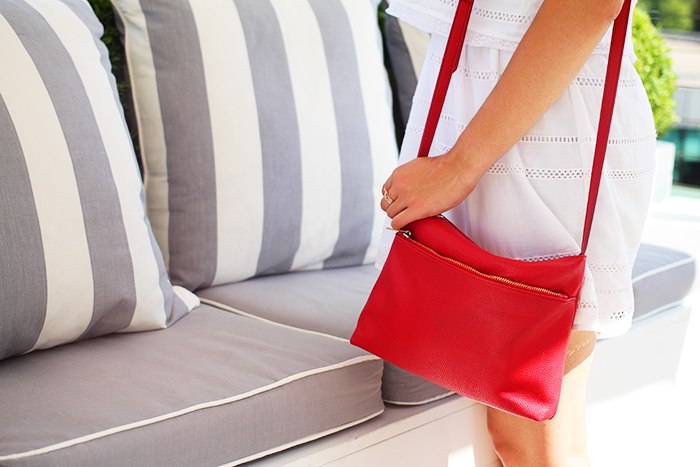 The red of that bag is seriously gorgeous and perfectly adds to the lips and nails – love it! i love the white dress,and the dress can make girl more beautiful. I love the pop of color from the bag. 🙂 You looked stunning. Gorgeous! 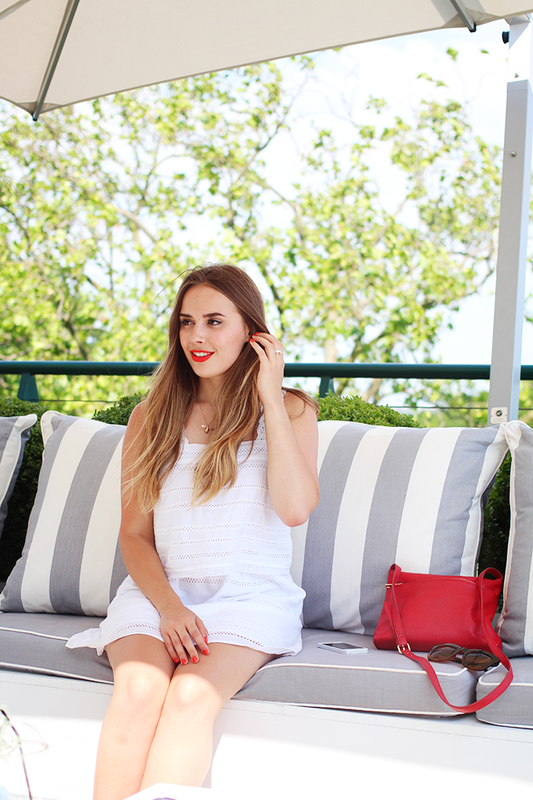 Matching your lipstick to your bag was a great idea and looks effortless with the white dress!